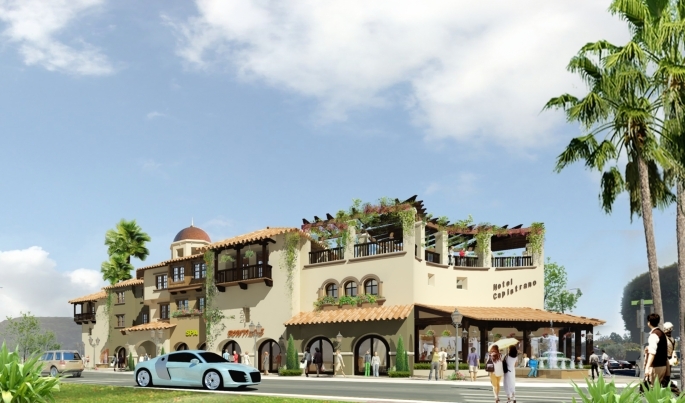 Project: The project consists of a 136 room hotel with 33 branded villas. The hotel has a 7,000 square feet of restaurant and retail, a roof deck with bar, 5,000 square feet of event space and resort style amenities. These amenities include multiple landscaped pedestrian paths with semi-private alcoves, resort pool and spa, fitness center, room service and access to the park. 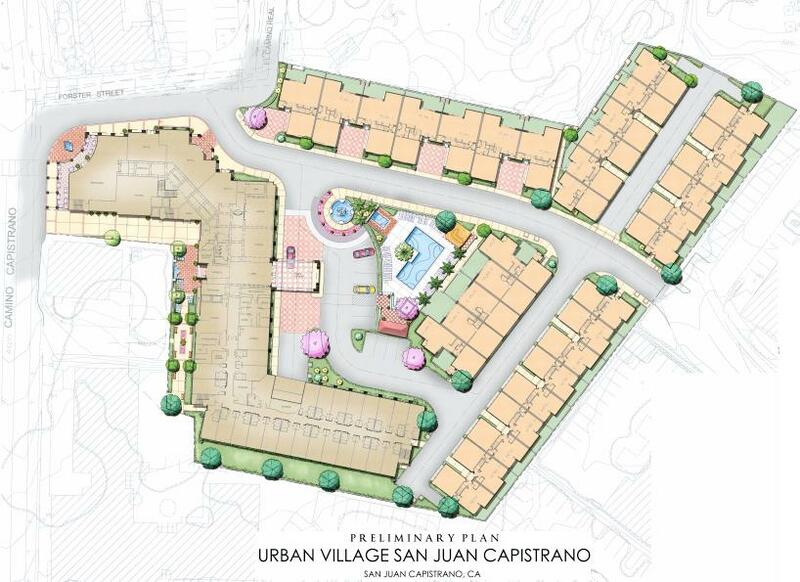 Process: After six months of collaborating with residents, business owners and community stakeholders, Urban Village, is proud to announce entitlements have been submitted for San Juan Hotel & Villas. In designing the project we worked closely with long time residents and historians to develop a project that truly benefits the downtown while maintaining the historical integrity of such a majestic place. This was accomplished by creating a development plan that returns the land to its uses during the 19th century. During this time the area consisted of residential (Tejada, Burrell, Blas, Casa Grande), Hotel (Mendelson Inn), restaurant (Las Rosas) and retail. The project is currently undergoing environmental studies and should be reaching planning commission in February, 2014. 2 Blocks: Hitoric Town Center Park, Community Playhouse, Starbucks, El Adobe, Cafe Mozart, Sundried Tomatoes, Ruby’s, Old Antique Barn, Rok Prime, Train Station, Ralphs Grocery and much more. 4 Blocks: 500,000 square feet of retail, restaurants, nightlife, entertainment, parks, a petting zoo and much more. The Historic Town Center has a Walk Score of 98. The area benefits from over 500,000 square feet of retail including restaurants, bars, entertainment, a grocery store and more. The site is a Transit Oriented Development only 2 blocks from the San Juan Train Station which provides transit access from San Diego to Santa Barbara. For questions on the project please contact Joshua Host.